These are exciting times for MountainStar Family Relief Nursery. Two years ago, we partnered with the Relief Nursery program in Madras and expanded our footprint to include children in Jefferson County. This year thanks to the wisdom and trust of the 1) Oregon Legislature and the 2) Regional Early Learning Hub, we are funded to expand into Crook County. We are in our third year of a contract with DHS/Child Welfare to carryout enhanced supervised visits for children already in the foster care system. And thanks to generous community donors, we have re-established free mental health services for enrolled families. At MountainStar, we have re-imagined our organization which includes a new logo that visually represents our hope for vulnerable children and new mission statement that includes a focus on the community support required for us to carry out our work. After all, 60% of the funding for our early childhood work comes from private sources including foundation, business and individual support. To that end, we have created an investment “prospectus” that details where we have been, where we want to go and how much it will cost. The number of children enrolled at any one time in our intensive, therapeutic early childhood program has grown from 40 in 2012 to a projected 86 by the end of this year! 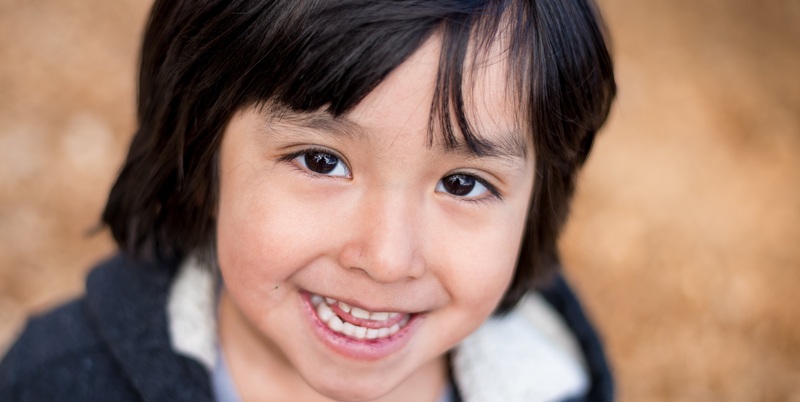 These are the intensive classroom and home visiting services documented by Portland State University to reduce the incidence of abuse and neglect by 70%! When you add the number of children receiving intensive services plus our Safety Net program focused on crisis intervention and respite classes, we serve 300 babies and toddlers annually. This is less than 5% of the children 0-3 in Central Oregon where a staggering 25% of these children live below the federal poverty level. To understand MountainStar, you need to know that 50% of all victims of child abuse and neglect are children 5 and younger. Last year IN OREGON, there were 17 children who were victims of abuse and neglect for every day of the year. I think most us resonated with something that Pope Francis said or did when he visited the US last month. For me, it was when, in New York, he referred to the “deafening anonymity” of those who live on the margins of society. I just about fell out of my chair. Those words are particularly accurate when it comes to describing the population we serve – babies and toddlers at risk for abuse, neglect and toxic stress. Every week there is an article in the paper about a horrific child abuse incident, it is usually the fatalities that make the paper and the details far too disturbing to mention today. For years we at MountainStar have described very young children as under the radar because they’re not in school and may not have anyone outside the family checking on them – deafening anonymity is a better description of their situation. The good news is that there is a growing collective understanding about the impact of toxic stress, trauma and chaos on our children. PTSD, or post-traumatic stress disorder, makes sense when we’re talking about soldiers in conflict or police on the line of duty, but studies are showing the impact is more severe for children who are abused or neglected. A landmark study by the Center for Disease Control and Kaiser Permanente looked at the correlation of traumatic childhood experiences and adult health and behavioral outcomes. It is called the ACE study referring to Adverse Childhood Experiences. They found that the more ACEs you have the higher your risk for diseases and behaviors that can shorten your life. This year we are not going to show video of children and their parents at participating in our program. This year, we believe the best use of our time together is to show you a portion of a talk by Dr. Nadine Burke Harris on ACEs because this information needs to be part of our community dialogue about the health, vitality and prosperity of our community. If we want to help children, families and individuals who live on the margin of society, who live in deafening anonymity… then we need to understand how their life is different. We need to become trauma-informed rather than stay trauma-blind. My nephew’s fiancé is a brand new elementary teacher this year. She has been so excited to set up her first classroom and begin her career in education. It is amazing to hear her talk about setting up her class using trauma informed practices that recognize some of the children in her class are triggered into fight or flight mode in unexpected ways and become unavailable to the learning opportunities in her class. Three-quarters of Oregonians have an ACE score of 2 or less…this includes me. When I see parents making decisions and doing things that don’t make sense to me, I wonder if their trauma experiences has them see this situations differently. Parents at MountainStar have an average of 6 ACEs. I spend most of my day on the business-end of MountainStar – working on financials and grants, meetings with program partners, staff and community members. Frankly it is a lot of computer work. The best part of my day is walking with children between the bus and their class. The other day I walked with Adalyn in my arms who is a petit 2-yr old girl in pink (we see a lot pink girls at MountainStar!) Adalyn was OK with me, but she lit-up when she saw her teachers Amanda and Nydia. She knew that she was going to have a great day at MountainStar! Class is her home away from home where she gets relief from the ongoing stress. Last week I had to keep a firm grasp of Colton’s hand. He often wears spiderman clothes and is quickly gaining a reputation as a runner. He too was on his way to have a great day at MountainStar. My hope is that in a couple years when you stand in-line next to these children grocery store or when they start going to kindergarten with your children or grandchildren - they are a bit better behaved, have more impulse control, are better able to express their needs and have fewer ACEs because of their family’s involvement at MountainStar. Your presence here today not only helps the children and families at MountainStar to succeed, but helps our entire community learn to apply the results from this Landmark study. And now, please enjoy this TED MED talk on ACE’s by Dr. Nadine Burke Harris.